Going back to college used to be a daunting ambition for working adults, but today it’s as easy, free, and just a few clicks away. So-called “Massively Open Online Classes” (MOOCs) presented by top universities provide opportunities to learn at your own pace, in your style, from wherever you happen to be, free of cost. Read on to learn what you can learn! In most cases, you won’t get academic credits for MOOCs, much less a Harvard MBA degree. But if you’re looking for tools to use in your job, or skills to help you find a new job, then MOOCs make perfect sense. Many people are just looking to learn for the pleasure of learning, and MOOCs are ideal for them, too. 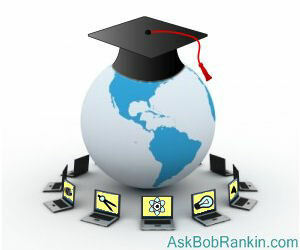 Various styles of MOOCs have evolved to suit the learning modes and preferences of different students. Yes, some MOOCs are dry, sparse things consisting only of reading texts and taking quizzes. But others include interactive communication with an instructor and even fellow students. Video chat sessions closely approximate the traditional classroom environment, allowing all students to see and hear a lecturer and submit written questions that are answered at the appropriate moments in a lecture. Usually, you don’t even have to take notes; the video and chat sessions are preserved for students’ later review. Class discussions are just another application of videoconferencing technology as applied in MOOCs. Online forums where students and faculty can communicate publicly but asynchronously are just like any other Yahoo! Group or Google Hangout. You may find that what you seek was discussed a year ago by another group of classmates, or you may post a question and get fresh answers in nearly real time. The software platform on which a MOOC is presented has a big impact on the student’s experience. One of the most widely used MOOC platforms is Coursera which currently hosts 868 courses from 115 schools. In general, it’s easier to learn a course’s content when you’re not busy learning a new platform. Right now, there are only five Coursera classes that can be taken to (possibly) earn college credits, and they're working on expanding that list. Coursera has a Signature Track program, which costs $30 - $90 per course, and includes a proctored online Credit Exam. But just as when attempting to transfer credits from classes taken at one college to another, there is no guarantee. Credits for the Coursera offerings shown below are granted at the discretion of the institution. Khan Academy is another platform for MOOCs, which I reviewed in my article How to Learn Almost Anything For Free. Its style is the short, 15-30 minute video presentation that pares a subject down to its essence. Some academics fault Khan for its brevity, but many busy working students appreciated its cogency. Almost 20 million people have taken Khan Academy classes since it started in 2009. Are online classes as effective as in-person on campus learning? Of course, that depends on the student. A 2010 study by the U.S. Department of Education found that "classes with online learning (whether taught completely online or blended) on average produce stronger student learning outcomes than do classes with solely face-to-face instruction." Is a MOOC right for you? If you looking to earn transferable degree credits, probably not; very few schools accept MOOC coursework for credit. But if you want to learn (to gain new skils or just for fun) without taking out a second mortgage or losing sleep, then a MOOC is something to consider. Most recent comments on "MOOCs: Free College Classes for Fun and Profit"
Since I discovered MOCS some 3 years ago I have taken about 20. Mainly in technology subjects, Physics, Astronomy, Programming, Mathematics, but also a couple on popular music. Some, (3 or 4), I dropped after a couple of weeks as they didn’t retain my interest. But the rest I’ve finished. They have been a most enjoyable experience, and I can’t sing their praises highly enough. As I’m retired I do have the time to devote to these, most take 6 or 7 hours a week, but a few have required more (at least from me, others may learn quicker). The only downside is that my wife complains about the amount of time I spend sitting in front of the computer, but I now never watch any television. The standard of courses varies, some have multiple choice questions with 4 options, and you have 3 goes to find the right answer – so pretty easy. Others only give you 1 go – this is harder. Some of the programming, physics and maths courses require you to submit code or submit the answer to problems. Many schools recognize proficiency exams that give credit for life experience. This seems to be a basis for taking proficiency exams. I've attended some courses at Future Learn, a group of European U's. I've have a lot of fun and learning with them. Thank you, I will definitely look into MOOC courses. Another great source for lectures is The Great Courses (www.thegreatcourses.com). Their lessons are very well presented and are frequently offered for 70% off "list" price. I have more than 20 of their courses and have listened to each multiple times. Much better than radio when on the road! Highest recommendations. I have completed 2 and am currently taking 4 MOOCS - and I love them. I had the best time with the FutureLearn courses - they seem to go out of their way to make things interesting (one course had cold cases for us to think about). The Coursera courses I'm taking are much more lecture-and-essay style - and since the essays are limited to 250 words, it's tough to do your best. I did NOT enjoy the peer comments, so for one of them I am only listening to the lectures. I have read a lot of complaints from the people who are paying for the courses - either the signature track or the certified track - they get graded by peers, just like the free people do, which hardly seems fair because the peers are sometimes (a) incompetent (b)attempting to show off their own smarts (c) not understanding the point of the exercises (d) not native speakers - or of course (e) lazy. But for us retired folks who simply want to keep the brains engaged, you can't beat a good MOOC. I've taken a couple of Future Learn courses from English universities. The courses are great and the student interaction is astonishing and very entertaining. Highly recommended! Bob, this really sounds very interesting, to me. I have always loved to learn and with me being retired, I think, it would be great for my brain. I will have to check into this ... Just to see, if, it is my "cup of tea." I don't like the idea of any "peer" person, grading my results, either. I don't really need a "grade", just which question was right or wrong. I know that is difficult with an essay, but, I don't need to go into a course, that requires essay work.